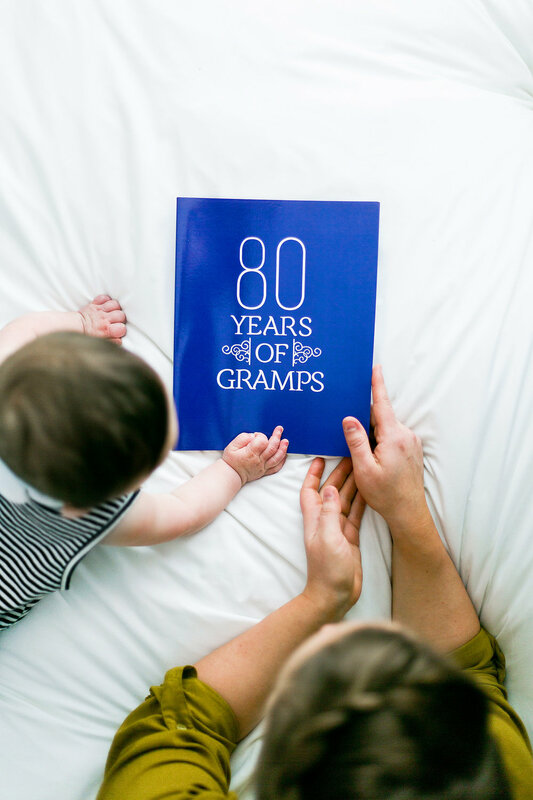 For years, and I mean literally years, I had the idea in my head to put together a book of memories and stories about Gramps. He is that guy that everyone in the town (or perhaps, in the state) knows. He is universally well-liked, even amongst family members who don’t even like one another. He is the kind of person with a full life story, but putting THAT book together sounds far too daunting. So my mind settled on gathering snippets of his life story told through the eyes of his posterity and even that sounded far too difficult. The idea stayed in the back of my mind for years until an experience jolted it back to the front that reminded me how precious it is to have a written record before it’s too late. So! I did it. And here’s how you can do it too. Say hello to everyone, especially because you don’t all talk that often so it might be weird. Mention your position in the project as coordinator/designer/printer/historian/etc because it sounds very important to use those words. Focus on WHY you are doing this (Gramps! or whoever your book is for) and WHY that person is awesome. The family will feel good about this and will accept your plan, even though it sounds like some work is involved on their end. So make sure you end with something like, “This is a gift for him, but ultimately, also a gift for all his posterity for generations to come” so they know they’re getting something out of it too. A PLACE TO SEND THEIR RESPONSES Give them a MAILING ADDRESS and EMAIL ADDRESS. You are working with different generations and it’s good to cover all the bases. I also asked for their own mailing address and email address here, so I could easily send out mass updates as needed. A DEADLINE Put a date in huge, big, bold, brightly colored letters at the bottom of the page. They will ignore it, but it’s still good to have. You aren’t Dumbledore and you have no Pensieve, so you’ve got to find ways to bring out those little old memories. I knew I never wanted to straight up ask, “WHAT’S YOUR NUMBER ONE MEMORY WITH GRAMPS? !” because that is just too much pressure. I don’t even have a number one favorite movie, just a top five mulling around in my head. So I did something similar for this. It’s important to give leads or examples to get people thinking. 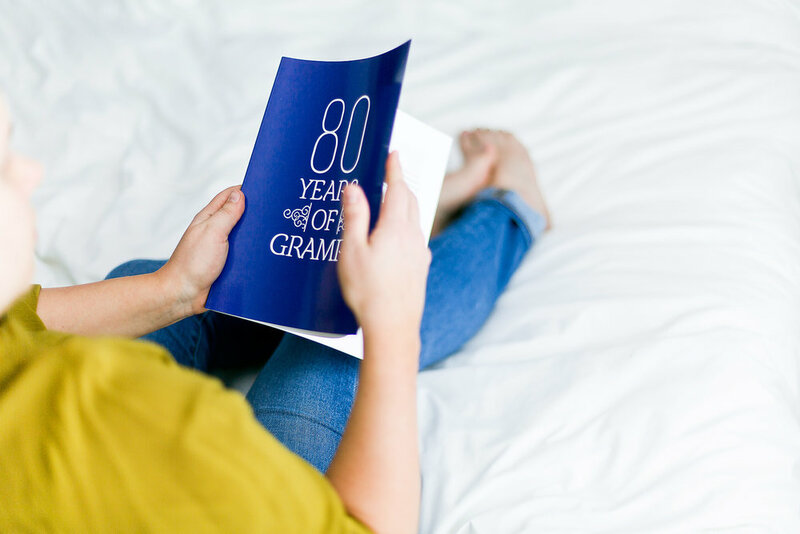 I’ll share a sample of my Gramps survey at the very very bottom of this page! I gave myself a lot of wiggle room because I didn’t expect everything to stick to schedule ~ c’est la vie, you know? I sent the surveys out six weeks before the deadline but most responded the week of the due date or within the following 2-3 weeks afterwards. Which was fine, because I had accounted for this possibility when I had established the original due date. Research in advance how long printing and shipping will take for your specific project as you establish your due date. READ IT All of it! It may take a while. FIX IT Standardize capitalization (is Gramps meant to be capitalized? about half the family did, half didn’t), add punctuation, basic grammar/spelling fixes if necessary. GROUP IT I literally printed out each story on a little strip of paper and then manually sorted them into themes until it felt right. Like for Gramps, there were reoccurring topics that multiple relatives talked about, such as Yankee games or going to the Milford Beach. Those topics got their own “chapter” in the book because it’s fun to see all those similar stories side by side. I sorted out which stories felt appropriate to start and end the book. I had a group of short little memories that would act as good “filler” memories to break up longer memories. I grouped together funny and light hearted stories together; then grouped the more heartfelt and sacred ones together so the stories didn’t radically jump back and forth in tone in a weird way. I made our book through Blurb. 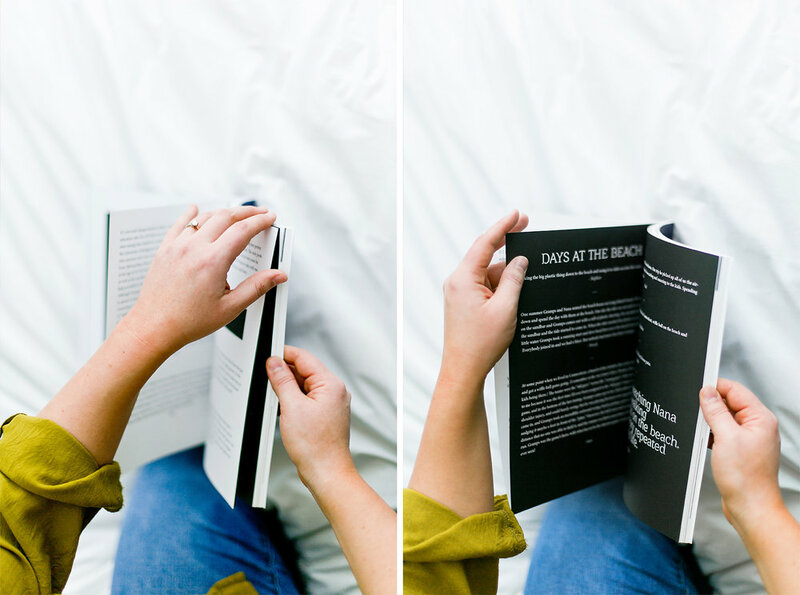 You probably know them for their photo books, but they also have basic paperback book options which are super affordable! I did an 8X10 inch “trade book” with black and white pages and a “flexible, high-gloss laminated” soft cover. It ended up being 66 pages. The cost per book = $15.29. 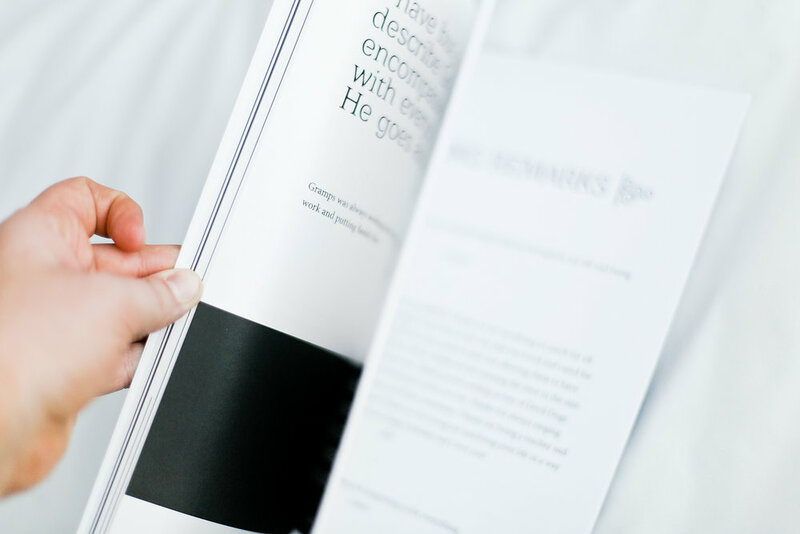 Designing a book for Blurb is best done through Adobe InDesign. I have the most basic understanding of InDesign and made it work, but probably could have done the whole thing a bit faster if I studied the program a bit more before starting. 1. What if there’s someone who doesn’t submit anything? I asked their next closest relative (either a parent or sibling) to specifically submit at least one story about them. It would end with something like, “From (name of person who didn’t submit something), as told by his/her (father/sister/etc)” I wanted everyone’s name to appear at least once in the book, even if they were not able to be a part of the writing directly. 2. You’re a photographer! What about pictures? Ironic, I know, but knew from the beginning that I did not want to include any photos. How on Earth would you choose just one? If Gramps in turning 80, should it be a photo from him at age 10, 20, 40, 80?? And then to rely on older relatives to collect and scan those photos at high resolution? And then have to explain to them that I can’t just “download them from Facebook”?! Keep it simple. Just stories. Pictures could and should be be a completely separate project! 3. What’s on the back cover? That’s a Devil Dog. They are always in Gramps’ freezer and they most definitely got their own chapter in this book. Here is verbatim the survey I sent my family. Feel free to copy, paste, and revise the following text to start your own memory book project! PART A ) WRITE 1-3 SIGNIFICANT MEMORIES WITH GRAMPS. This is the beef of the survey. If you aren’t able to fill out this whole form, please at least try to write one memory from this category! PART B ) WRITE 3-5 “MUNDANE” MEMORIES WITH GRAMPS. 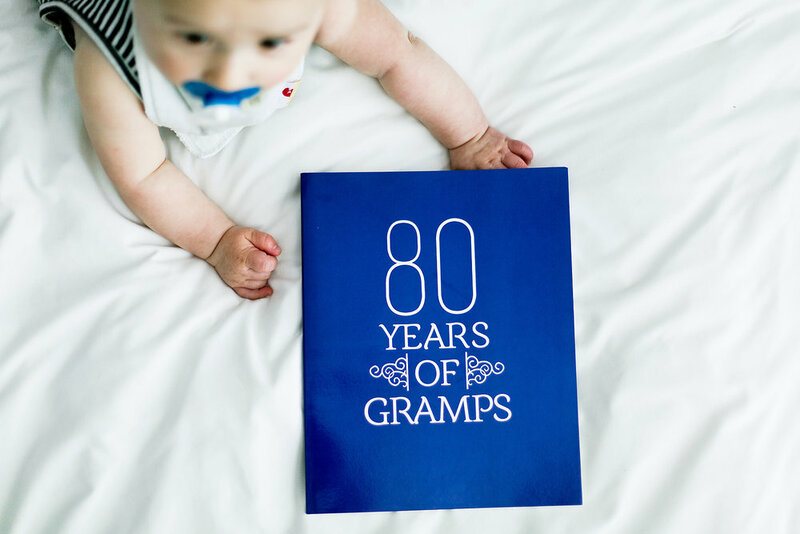 Cherishing the little things that make Gramps, Gramps. Memories don’t have to be earth-shattering to be special! These can be really short. PART C ) WRITE 3-5 MEMORIES WITH NANA and/or NANA AND GRAMPS. 2017 marked ten years without Nana here with us. This book should recognize our memories with her, as well. These can be significant and/or “mundane” (see topic ideas from above). PART D ) A DIRECT QUOTE. Do you remember any particular quote from Gramps? Something he said that was meaningful, taught you something, or made you laugh? Write one below and talk about your thoughts, its significance, backstory, or the lesson learned. PART E ) CLOSING REMARKS.Is there anything else you’d like to say to Gramps in the book? Feel free to add it here.